In our previous post we talked about how not staying up to date with important engine maintenance, specially oil changes, or not using the proper type of motor oil can take a devastating toll on your engine performance and durability. Which is why today, at Power Sports Oil we want to further discuss why exactly is it that the lubrication system and the type of motor oil you use is so important. Why Is the Lubrication System and Getting Synthetic Oil Changes so Important? The simple answer to such a complicated question is friction. However, we need to further elaborate on this question in order to fully comprehend the extent of the importance of the lubrication system and how using synthetic oil can best benefit the engine in this matter. 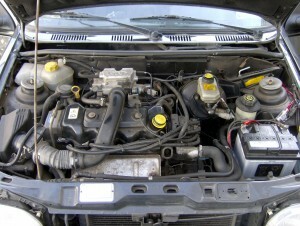 Friction between engine parts is caused when there is enough applied contact between the pieces. The scratching that is caused as the parts move, wears out the pieces and can quickly break them, depending on how often and how fast the abrasion happens. That is where the role of motor oil comes in. The motor oil must reach protect the engine parts by varnishing the parts with a layer of silky covering so that as the parts move the oil covering allows them to glide against each other smoothly and without causing friction. This is of course, the ideal scenario. However, different situations and difficult conditions can alter the motor oil, and cause it to not carry out this function properly. This is specially when using conventional motor oil. High heat, intense cold, and harsh driving conditions can alter the molecular structure of regular motor oil and prevent it from properly lubricating. As we mentioned in a previous post, there are several important differences in the level of protection that different motor oil types offer, read more about how those differences affect your engine, here. Full synthetic oil offers more complete protection through a high level of lubrication that does not vary depending on the conditions it faces. Rather, its stable composition allows it to easily continue performing, unaffected by the extreme temperature or difficulties that would deteriorate other motor oil types. For the best synthetic oil change use leading products such as Amsoil full synthetic oil. Visit our Amsoil online store, or contact us this minute, for more information and direct help choosing the right product for your engine. Even though the star of the show is the motor oil, there are several components in the lubrication system of the engine, that allow the motor oil to properly carry out its function. For example in our previous post we mentioned how the oil filter is an important asset because it removes dirt and other particles that the oil picks up while lubricating. The oil filter helps keep the oil clean so that it can properly work and it retains all the sludge that is cleaned off the engine by the synthetic oil. This soot is then removed when the oil filter is changed. Not only does the oil filter play an important role, but each little part of the lubrication system can help a void a disaster caused by friction. The lubrication system is made up by the oil pump, the pick up tube, the pressure relief valve, the oil filter and the oil sump, also known as the oil pan. The oil starts to travel to the spots that need lubrication, when the oil pump pushes out the oil from the oil pan and into the pick up tube. The pressure relief valve releases the pressure that accumulates due to the slight overload of oil that the oil pump may have released. It then reaches the oil filter before entering the spurt holes and galleries, which spread the oil out, to the engine parts that need to be covered and protected. After it has coated the parts, it then travels down to the oil pan to repeat the process. Choose a full synthetic oil designed for your specific engine needs and go get your synthetic oil change today. For the security of your engine we recommend only Amsoil full synthetic oil. Give us a call today at (510) 351-8500 and start buying Amsoil, the product that can provide the most benefits for your vehicle.